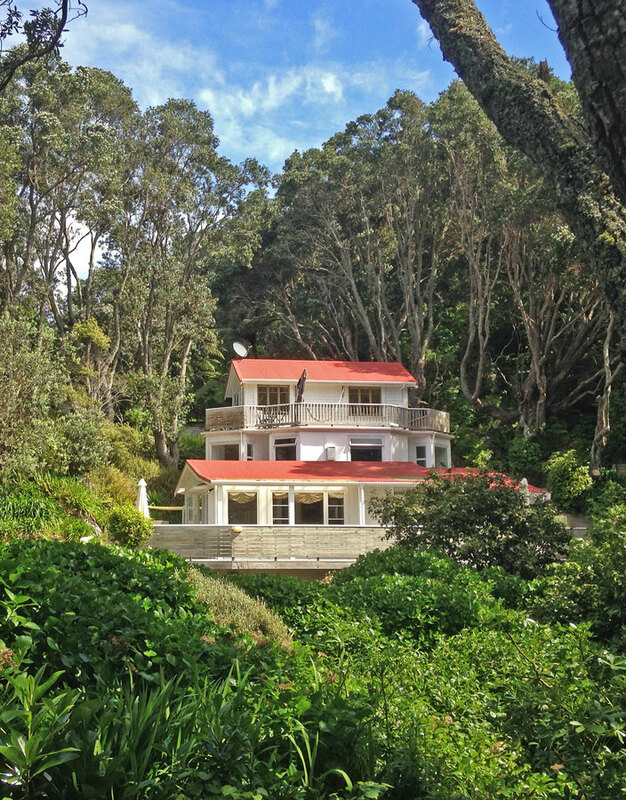 The property at 213 Ohiwa Beach Road was originally built in the 1930s as a small, original kiwi-style two room cottage that was later extended. It was situated at the bottom of the hillside and later moved to higher grounds. ​In the 1980s it was in possession of an elderly British couple and was sold to an American lady with a great vision. Inspired by the beautiful, tranquil and peaceful setting, she decided to turn the property into a retreat that she called Aurum Retreat. In 2007 she had two studios built behind the cottage and also incorporated the so called 'Honey Loft', a building that existed on the same site and was used to extract and produce Pohutukawa honey. 10 years later, in 2017, she decided to sell the retreat to retire to Nelson. The current owners, Karen and Stephan, came across this opportunity, fell in love with Aurum and bought it in late 2017. Having lived in Auckland, a dream came true to run a beautiful accommodation business in the stunning surrounding of Ohiwa- beach and harbour in the Eastern Bay of Plenty. They rebranded the business, changing the name to Ohiwa Seascape Studios and are excited to add a new chapter to the history of 213 Ohiwa Beach Road.